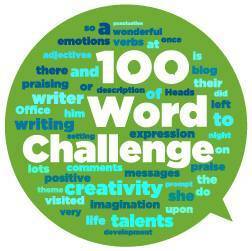 Mr Russell's Class - Page 2 of 41 - Welcome to our 100 Word Challenge blog - we LOVE comments! It was a late Saturday night I had to clock in to do overtime. A new shipping truck had arrived so we unpacked it. We counted 34 crates after we opened one a strange aroma started polluting from the other crates. We were on crate 13 when we opened the crate it was full of mannequin’s. So we opened another more mannequin’s and every other crate was filled with mannequin’s. I realised we got the wrong truck “when did it arrive” I said as my boss came out laughing it was April first 2am he pranked us we all had a laugh then my boss said so who wants fifty mannequin’s? Last week it was my cousins party. Her name is Amayah . Her party was on in pirates adventure. It was fun.my aunty Kathy was there late. She thought Is was on at 3:00 when it was on at 2:30. When she arrived she was supposed to be the first one there. But she was the last .said to mi mam. When did we leave I said she said 2:15 Kathy dropped to the floor. She missed halve the party. But then we got on with the party. So we cut the cake and sung happy birthday to amayah she was only 2 . we got some cake and went home.